Debut album from Jedi Knight Circle member Aura. 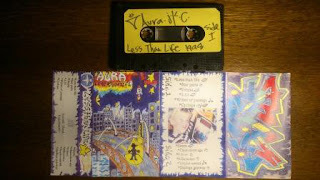 Originally released in 1998 this tape was the second release from JKC in my collection, but the first from Aura. This tape doesn't get as much play as it used too, but it always reminds of that early JKC sound and when I first discovered their music.